This study guide is part of the Beatitudes Series. It consists of six lessons that deal with the deep human longing for God, a hunger built into mankind at creation. The lessons are designed to help people develop healthy spiritual appetites and to fill their deepest longings in Christ. Spiritual Hunger: Filling Your Deepest Longings by Jim Plueddemann was published by Waterbrook Multnomah in February 2000 and is our 36517th best seller. 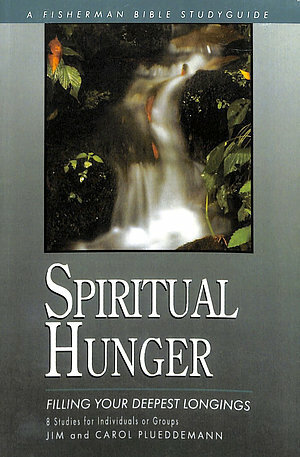 The ISBN for Spiritual Hunger: Filling Your Deepest Longings is 9780877887706. Be the first to review Spiritual Hunger: Filling Your Deepest Longings! Got a question? No problem! Just click here to ask us about Spiritual Hunger: Filling Your Deepest Longings.